Doing so currently crashes studio. Is there any chance the new lighting system will support custom normal and specular maps? Yeah the new build should address that; should be ready early next week (or this week depending on which timezone you’re in). I would love to heat a yes on this. 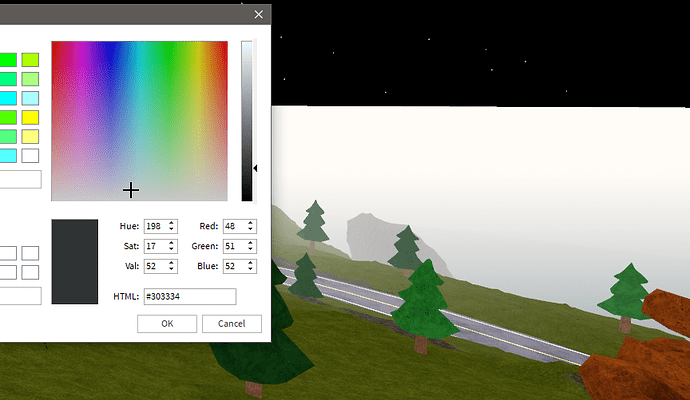 In v12 if you set Lighting.Brightness to 0, it disables shadows and then crashes after a few seconds. As for content compatibility, fog blends in a really strange way using the prototype. Tried messing with exposure settings as well as turning auto exposure off, same result. So, is this the way that Light speaks? Thanks - we’ll take a look - we didn’t work on fog in this prototype at all. v12 doesn’t seem to be working correctly for me, it’s just using CPU voxel and there’s no property under Lighting that lets me switch to shadow map. 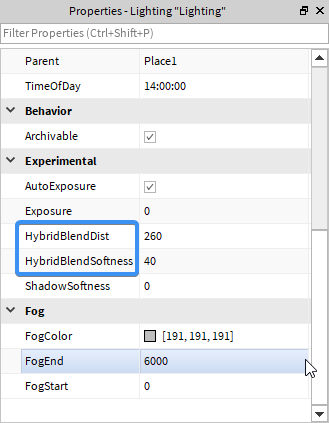 Graphics settings are cranked up to maximum (I also have decent hardware, didn’t have too many problems performance-wise before), and messing with HybridBlendDist and HybridBlendSoftness doesn’t do anything. Make sure you have this option enabled. [image] I had a similar problem by default, and it changed when I enabled the FutureIsBright option. Performance. Performance is a very essential feature - we want to make sure that the tech we’re building can run well on a wide range of hardware with a wide range of content. 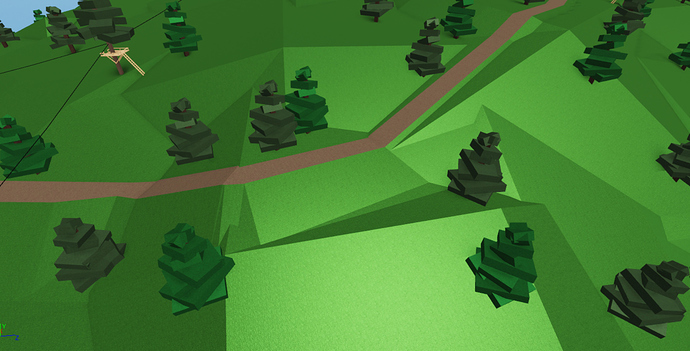 We’ve been working on a lot of optimizations and this work will continue and will take time. I hate to say it, but everything seems to look worse in the new prototype, and I can’t seem to find any way to tweak the lighting settings to make it look better. Everything looks extremely metallic and dark. The only way I can make things look decent is by changing the OutdoorAmbient to 255, 255, 255, and also making the Ambient something in the midrange of values. 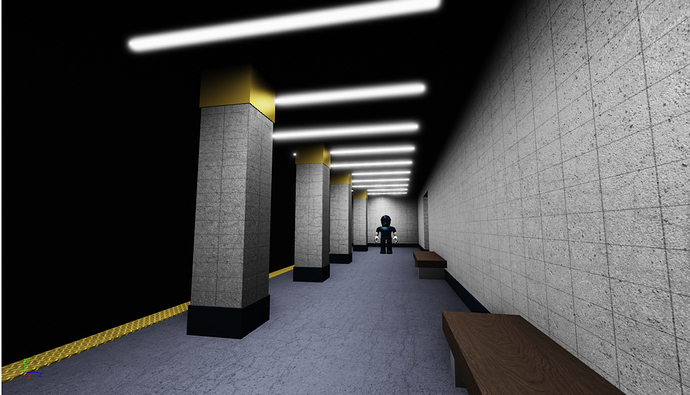 Otherwise, it looks like the lighting you would see in a crappy horror game. 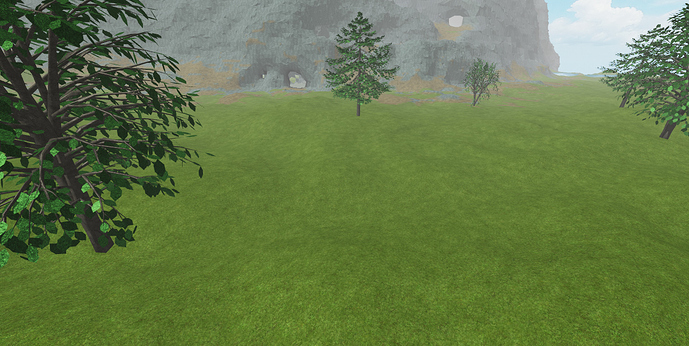 Whenever I change the lighting to those settings, though, it messes up with the exposure. 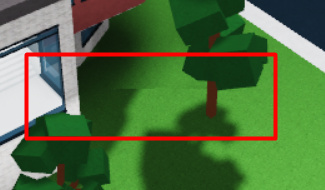 In a game with indoor and outdoor areas, the exposure difference when AutoExposure is enabled is huge, and it just looks weird. Maybe this will be solved with the dynamic voxels, but you can really see this difference when you see unloaded voxels. Make sure you have this option enabled. 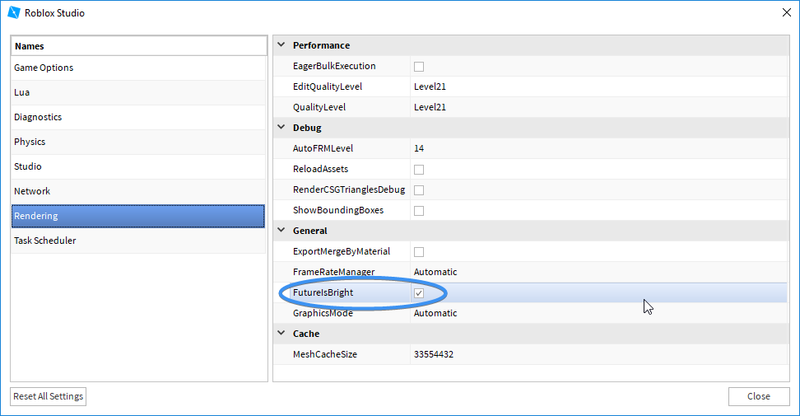 I had a similar problem by default, and it changed when I enabled the FutureIsBright option. Ah, that makes a lot more sense. Everything still looks metallic though, and I still have to change the OutdoorAmbient/Ambient to high values, but with the shadows it makes a lot more sense. Also, when the shadows load in, it’s pretty jarring. That jarring are caused by those two options here. And the Softness should speak for itself, but it makes the shadow softer for everything after the set BlendDist. Edit: I think it’s performance-wise better than having those shadows everywhere for the engine to render lol (like before v12). I’m using PointLights so the ceiling can be lit (SurfaceLights are accurate, except that they leave the ceiling entirely dark), but then that makes a highlight at the point where the PointLight is located, which looks really weird. Maybe I’m lighting things wrong, but it seems like this system only really works with suspended ceilings for SurfaceLights or lights emitting from a small, central point for PointLights and SpotLights. It’s hard to make things not look dark without using artificial, invisible lights all over the place. But that also doesn’t work because of the metallic highlights all over the place. Maybe it’s just because I’m doing it wrong though. 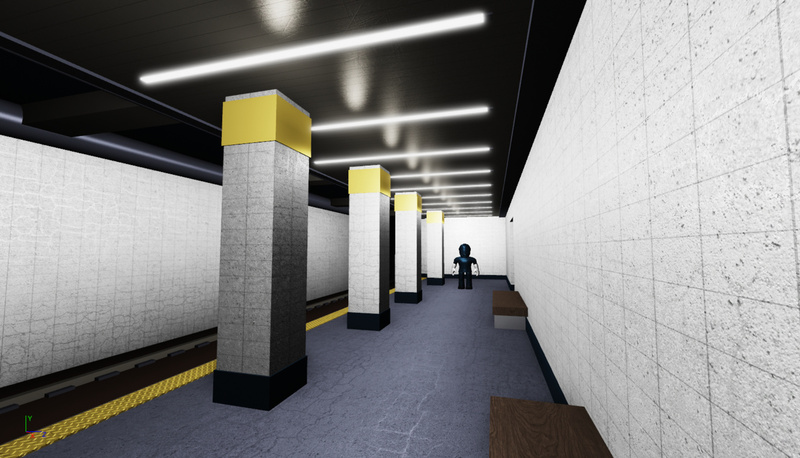 I have the feeling it will only work well when you place lights inside actual visible light objects, but that also makes it so the ceiling is dark. Remember to always check out the release notes when a new version comes out. In particular, a lot of stuff about v12 that’s been scattered across the past several posts is plainly explained there. @zeuxcg instead of solely focusing on extended lighting range to light up huge areas ; what about an actual volume area light as seen in an old Hackweek lighting Demo ?! And sorry for the long text but one last question ; now that the voxel system is used again ; will we ever get self illumination for the Neon material ? 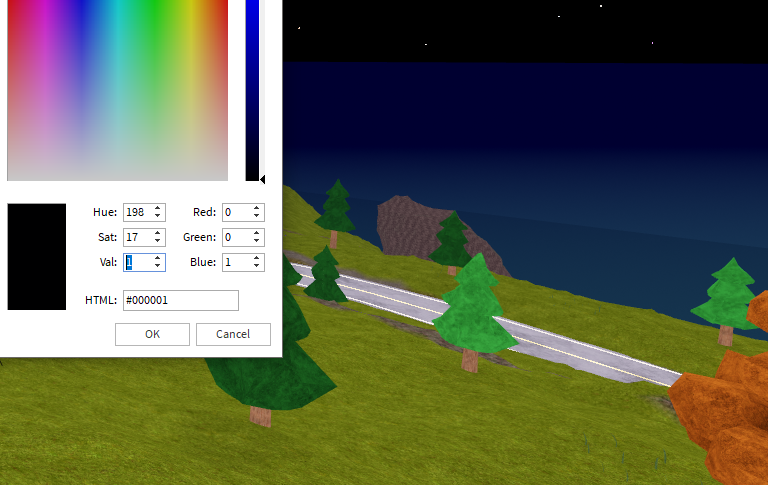 so that bright neon colors get their own custom shaped specular highlights ?! 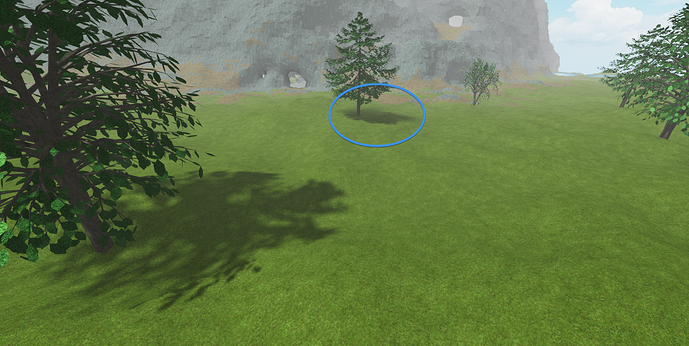 OH and before i forget to ask ; what about shadow transparency for transparent parts ? and one other thing which was featured in the same old hackweek lighting demo ; tinted shadows ; so if light goes trough any colored transparent pixel it colors the shadow based on the color of the transparent parts and of particle pixels ; this would be especially useful for real tinted glass ! This is also one of the main concerns I have with the system. With the voxel system, there is basically some really fake global illumination due to light blending between voxels. Feels like the only way to get such scenarios to look right is by using a brighter indoor ambient (which I’d like to avoid personally in order to also have very dark caves).